Subitizing and Guided Math Groups: Part 2 Why it is so important! Subitizing provides a basis for early addition skills. Different arrangements help children to see and discuss different ways to name a number. Ten frames are another tool to use to build subitizing skills. Subitizing is a fundamental skill in the development of students’ understanding of number (Baroody, 1987). Clements (1999) writes that students can use subitizing to develop understanding of number, conservation and compensation. 1. Quick image games where the teacher flashes dot cards and the students tell how many. 2. Give children a set of cards with equivalent names but one that doesn’t belong. Have them select the one that doesn’t belong. 3. Have students match the number with the dot card. 4. Have the students play matching games with cards that show equivalent names. There is a new video out by Marilyn Burns called Number Talks that shows a teacher using dot cards and ten frames. Subitizing is being able to look at a number and know how many without counting. It refers to “rapid, accurate and confident judgments performed for small numbers of items. It comes from the Latin adjective subitus (meaning “sudden”)” and has to do with immediately knowing how many items one sees for a small set of numbers. When we are talking about larger sets we often estimate or count. There are two types of subitizing. Perceptual subitizing is looking at the number and knowing how many without any mathematical processes taking place. Conceptual subitizing is based in mathematical processes, such as looking at the parts and the whole. An example of this iswhen you see the eight domino and you know that it is five on one side and three on the other and that makes eight. Spatial patterns are just one kind. Other patterns include kinesthetic ones such as finger patterns, rhythmic and spatial-auditory (Clements, 1999). Spatial arrangements make subitizing easy or hard. Rectangular arrangements seem to be the easiest followed by linear, circular and scrambled arrangements increasing in difficulty (cited Clements, 1999). 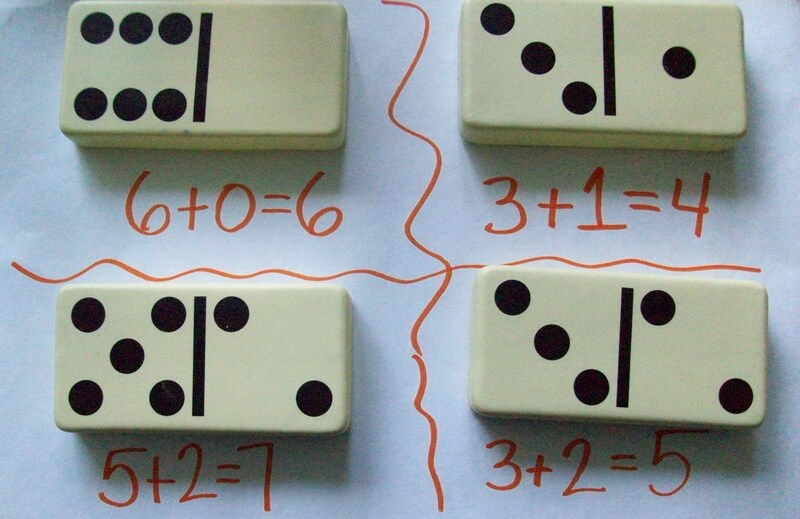 You can use dot cards, domino cards, number-cube cards and ten frames to teach subitizing. You can also use bingo chips and interlocking cubes. Subitizing is a fundamental skill in the development of students’ understanding of number (Baroody, 1987). Clements (1999) writes that students can use subitizing to develop understanding of number, conservation and compensation. In part 2 we will discuss this further. When teaching a guided math lesson, you always want to think about providing concrete, pictorial and abstract activities. You want to make sure that you are asking questions that make students think mathematically and justify their answers. These are the types of activities that build conceptual understanding but also help build automaticity. When the students are counting the pips they are working on understanding the numbers and how they are represented. But, when they are working on the fact sorts, they begin to build automaticity and fluency because they are thinking about the types of facts. I call fact knowledge, knowing the Dolch words of math. 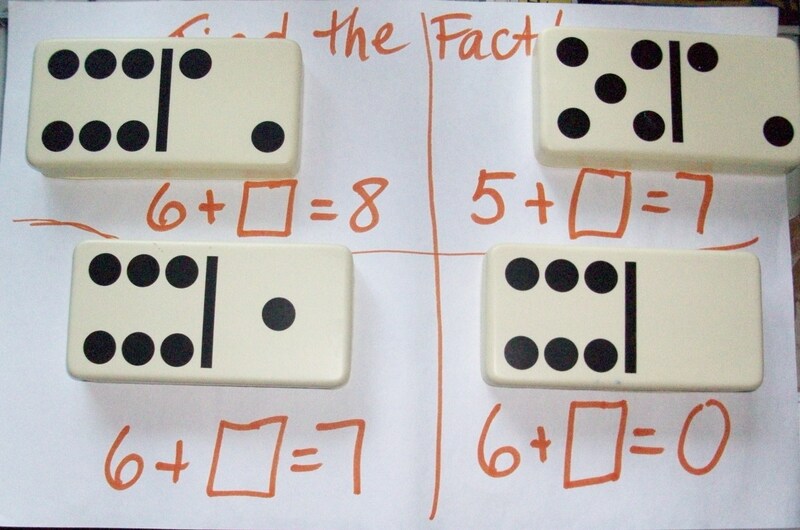 If students can look at a fact and recognize it as a double and then add fast, it gives them automaticity. If they recognize, “oh, that’s a plus 1 fact, I just count up one number” then they are building their fluency. If they can recognize, “oh that’s a doubles +1 fact, I just double and add one more” then they can add fast without using slower strategies such as counting on their fingers or counting up. Once children have conceptual understanding, we want them to have procedural fluency and automaticity. Dominos is a great tool to build that. Concrete Level Activities: ACTIVITY A: Students match number facts with dominos. The good thing about using dominos is that the children can count the pips. I tend to have a wide assortment of dominos in the classroom. ACTIVITY B: Students create their own dominos with big dots (from Staples). You can either give them a large construction paper template or have them make their own. Pictorial level: ACTIVITY A: Students pick a domino and draw it on a blank template. They then write the number sentence. ACTIVITY B: Using the fact sheet (which is differentiated by readiness) students paste a paper domino with the correct fact. They also play a domino match game, where the facts are on one side and the dominos on the other and they connect the ones that match with a line. Abstract level: ACTIVITY A: Domino Fact Sort. Students have differentiated sorting sheets and they sort the facts according to specific criteria. 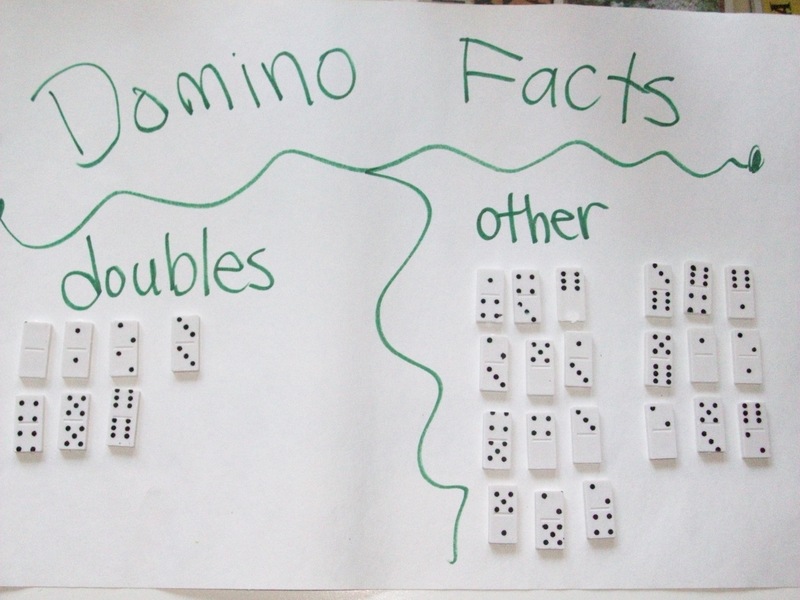 For example, on one sheet students sort doubles dominos from all other dominos. 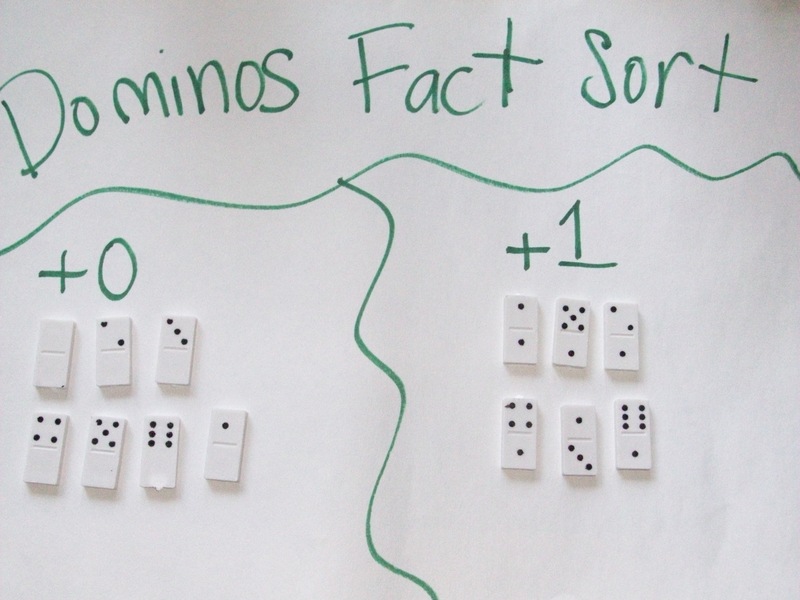 ACTIVITY B: Domino Fact Sort Races. Using a sand timer, students see how long it takes them to find and sort various facts on a template. What does that fact look like?